Practical? No. Functional? Hardly. Do I want one? Yes, yes I do. This little Raspberry Pi Zero project from Adafruit is the world's smallest machine running the multiple arcade machine emulator (MAME) emulator with the help of an RGB OLED display and audio amplifier. It quite literally is an arcade machine you can fit in your pocket. And yes, those tiny, little joysticks actually work. It's so tiny. So cute. So precious. What is this? 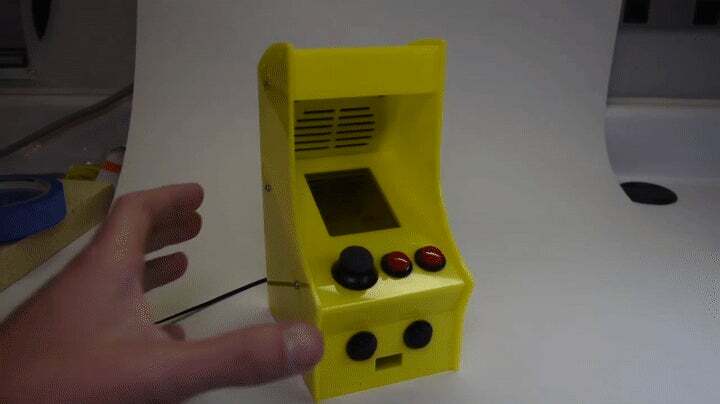 An arcade machine for ants?